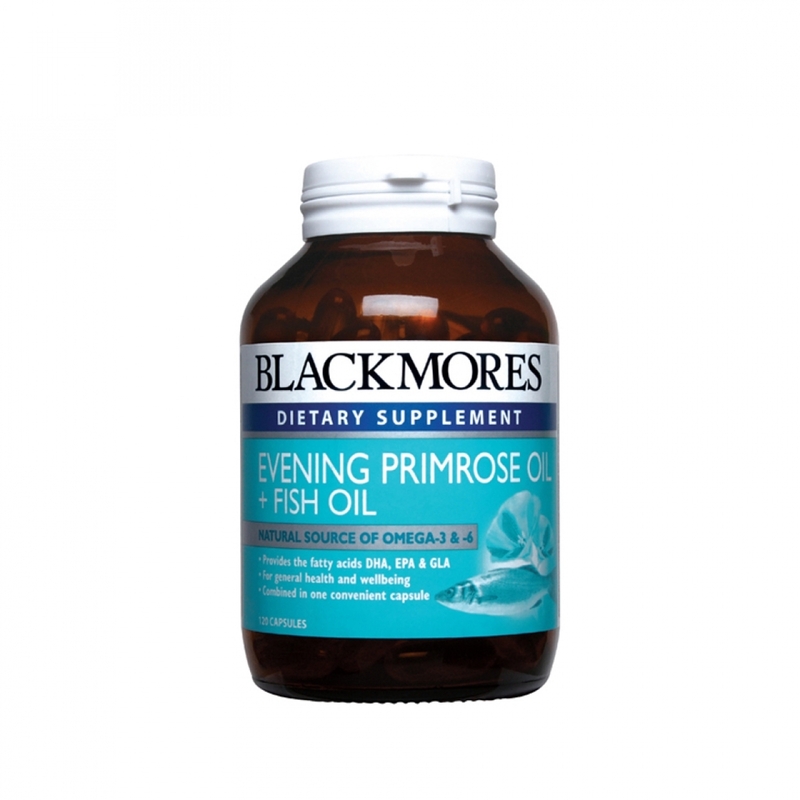 Blackmores Evening Primrose Oil + Fish Oil is a rich natural source of the omega-6 fatty acid gamma-linolenic acid (GLA) from evening primrose oil, and the omega-3s EPA and DHA from fish oil - in one convenient capsule for general health and wellbeing. Essential fatty acids are incorporated into every cell membrane in the body, in the form of compounds called phospholipids. Cell membranes play the vital role of regulating what goes into, and what comes out of, each cell. Cell membranes made up mainly of phospholipids derived from the essential polyunsaturated fatty acids are more fluid and function better than cell membranes made up of saturated fat or trans- fatty acids. A cell membrane working at optimal levels retains vital nutrients and electrolytes, has the ability to communicate with other cells and is responsive to hormones. Omega-3 and omega-6 fatty acids and substances made from them, are components of nerve cells and substances known as prostaglandins and leukotrienes. Prostaglandins and leukotrienes are important in normal body function.